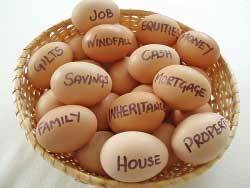 « Need Unbiased Financial Advice for FREE? Try CrispyMoney.com, a Family’s Financial Friend! Thanks to recent legislation, merchants will soon enjoy greatly reduced "swipe fees," the fee charged to retailers every time a customer swipes a debit card. 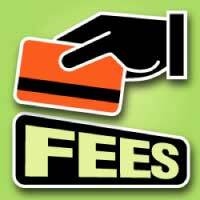 Starting in July, larger banks can only charge merchants 12 cents per transaction, instead of the now-standard 44 cents per-transaction fee. The Senate Wednesday voted down an effort to delay the new rules. Opponents said small banks would suffer, even though banks with under $10 billion in assets are exempt. Small merchants will especially enjoy big benefits, as the reduction in overhead allows them to pass on these savings. Customers also will benefit as smaller retailers may no longer require a minimum purchase before cards may be used. The legislation also could result in the end of the standard 10-cents-per-gallon charge for using plastic. As with any new regulation, however, consumers will likely pay somewhere down the road, whether in higher overdraft fees or reduced interest rates. Read on for five tips explaining how you can avoid getting stuck paying behind the scenes for these new regulations. Using the credit card version of a debit card not only covers you for theft or bad merchandise, it also helps you avoid paying the smaller swipe fees. There are several ways it makes "cents" to use cash. First, you'll avoid any extra charges. Second, you're less likely to overspend when you can actually see your wallet emptying out. Gift cards spend like cash but, thanks to legislation enacted in August 2010, you aren't charged additional fees for non-use or have to deal with expiration dates. Best of all, you can buy discount gift cards from websites like GiftCardGranny.com and save anywhere from 5 percent to 50 percent of the face value. Patronize banks that will "gift" you with a higher interest rates and lower surcharges (like overdraft fees) to offset any sneaky charges resulting from the legislation. Banks bury extra or unusual charges in the fine print, assuming you'll never read pamphlets sent out to customers in bulk mail. Carefully read through these game changers to ensure you won't be gouged by additional costs.